Indulge in a festive remix of W's Rock Tea, inspired by famous Christmas number one singles, available daily until 24th December 2013. All elements of the menu have been designed to add sparkle to the festive countdown, with every treat taking inspiration from past Christmas hits to tie in with the rock'n'roll theme. To accompany these festive fancies, a seasonally-inspired selection of sandwiches will be served, including turkey and cranberry, traditional roast beef, spicy butternut squash and luxurious smoked salmon. 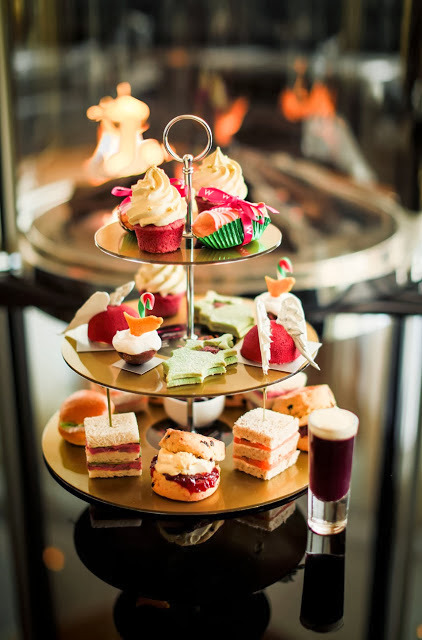 The W Christmas Rock Tea will be served in the W Lounge at W London - Leicester Square between 2pm to 5pm daily, from 29th November until 24th December 2013.